Offers cannot be combined. Please see our Terms of Service. 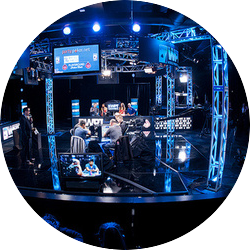 After class you'll become a VIP and watch top Pros in action at the taping of the World Poker Tour Five Diamond Classic Final Table. Be a part of the energy and excitement that can only be found at a live World Poker Tour Main Event final table! 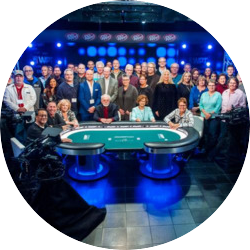 What is the VIP Final Table Experience? There’s nothing in poker like the Final Table of a major tournament and the WPT Bellagio Five Diamond World Poker Classic will be no exception! The WPT VIP Final Table Experience is not open to the general public. This opportunity is available to LearnWPT Live at Bellagio Ticket holders only. Set the tone for success in cash games by learning how to build a strong dynamic game plan and cultivate a winning mindset. In this section we'll make sure you understand how to use your position to decide how to play. We need to make sure this part of your game plan is sound because it's where most players lose their footing. Set yourself up for Postflop success with a keen understanding of your Opening Hand Ranges based on your position. 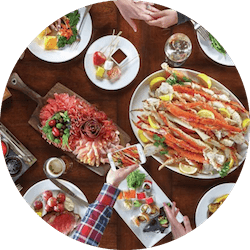 Enjoy lunch in style at the world famous Buffet at Bellagio, included with your Ticket to LearnWPT Live at Bellagio. Learn our structured methodology for determining when to call, raise, or fold vs. an opponent bet. We'll build on what we've learned so far and use the concept of hand ranges and incorporate opponent actions and position to determine a profitable course of action while playing a hand. We’ll show you how to use the five key factors (Number of Opponents, Board Texture, Position, Stack Depth, and Opponent Hand Ranges) to analyze our postflop decisions and determine the appropriate time to continuation bet, fire a turn second bullet, or fire a third barrel on the river. 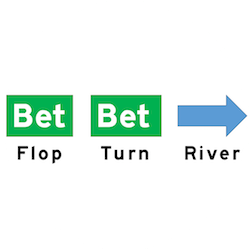 Don't wait until you get to the flop to start thinking about if you should bet or not, or what types of turns you'll fire again on. The Pros already have their game plan for the hand, make sure you have yours. You'll be able to ask questions throughout the weekend, but we'll save some time at the end of the day to make sure you won't leave with ANY questions about Cash Game Poker Strategy. 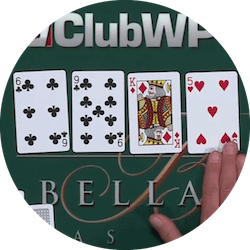 Find exceptions to the "rules"
Our instructors ensure that no one leaves a LearnWPT Live Workshop with any unanswered poker questions! Not all hands should be bet the same way. In this section we dive deep into betting lines and describe the factors you should consider when deciding whether to bet based on the strength of your hand. You’ll learn how to make the most out of big hands, how to take 1-pair hands to showdown profitably, and when to mix in bluffs to keep your game balanced. It’s time to apply what we’ve learned. We’ll present you with a series of Simulation Hands, challenging you to apply the key decision-making factors. You’ll hear the Pro’s thought process and see how your decisions on each street interact to form a complete game plan. 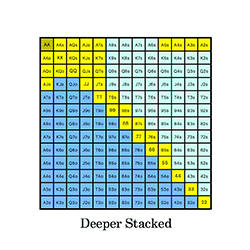 Being a successful cash game player means maximizing every edge, no matter how small. There are several other considerations vital to profitable play aside from a fundamental game plan. You’ll learn the keys to critical skills such as bankroll management, tell tracking, exploitative play, and how to train yourself for continuous improvement. Go behind the scenes for the filming of the WPT Televised Final Table of the Bellagio Five Diamond World Poker Classic! You haven’t really seen a WPT Final Table until you’ve been this close to the action. Please note: Due to limited space, VIP seating is only guaranteed for the first 50 ticket purchasers, additional standby seating may be available but is not guaranteed. LET’S SHUFFLE UP & DEAL! When the cards hit the felt you’ll be up close and personal to the action. There’s no better way to learn about Poker than seeing it played at the highest levels. Be there to witness the crowning of a new WPT Champion! 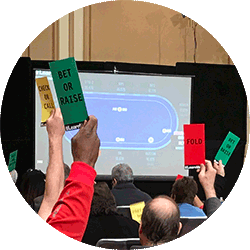 Ready for Better Results at the Cash Tables? LearnWPT Live at Bellagio will show you how to get them. Anchor of the World Poker Tour, Lynn Gilmartin has a few words to share with you if you're considering joining LearnWPT at Bellagio this December 9th-10th. What did you think of LearnWPT Live? We asked students what they thought of their experience of a LearnWPT Live Workshop. If you're considering joining us at Bellagio, this video is for you. How will LearnWPT Live help your poker game? We asked students how their LearnWPT Live Workshop would help their poker game. If you're not sure of the benefits of attending a Live Workshop, this video is for you. On the fence about LearnWPT Live? We asked students what they would say to someone on the fence about attending a LearnWPT Live Workshop. If you're on the fence, this video is for you. "I've taught with Nick Binger and seen how easily he shares complex material in a way that anyone can understand. I can confidently say anyone who studies with him in any capacity will be in good hands." "I've personally taught alongside Binger, and he's one of the best in the business." 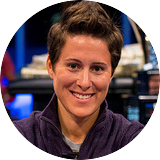 "If you're serious about your game, you have to be serious about poker education. I've never seen a good player that didn't feel like they needed to learn more about the game." 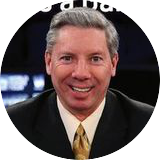 "Your instructor, Nick Binger, really knows how to break down elements of the game to be easily understood without becoming overwhelmed. And he'll provide you with a game plan to ensure that next time you take a seat at a poker table you can be confident in your choices." A Pro with the rare gift to teach poker as well as he plays it. 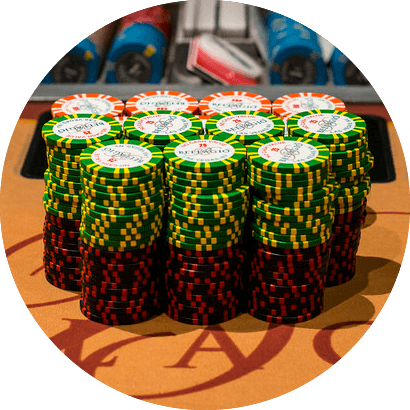 As Lead Instructor for LearnWPT, Nick understands the game of poker evolves and the players who win consistently can only do so because of their commitment to continuously improving their games. 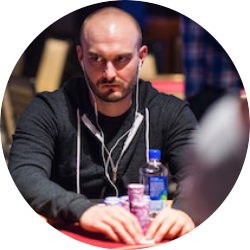 Nick began his poker journey online and quickly became a force at both the Cash Game and Tournament tables. 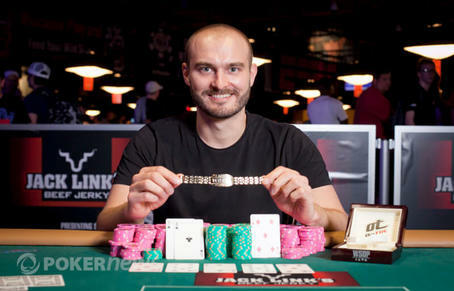 He soon transitioned to the live arena, winning several high profile events, including a WSOP bracelet in 2011. Nick is not only passionate about being a winning poker player, he has spent years perfecting his poker instruction skills and has taught thousands of players how to win. Over the course of his teach career, Nick developed a comprehensive method for improving the games of others, no matter their skill level or experience. No matter how long you've been playing poker or where you are in your development, Nick can take you to the next level. An expert in hand analysis and crushing the live and virtual felt. Know in cyberspace as “Rizen”, Eric’s internet poker career took off when he won the PokerStars Million Dollar Guaranteed Tournament in May 2006 and took the prestigious Tournament Leader Board award for that month. 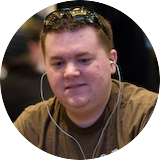 Eric has made over 300 Final Tables in high profile online and WSOP tournaments including placing 3rd in a Pot Limit WSOP Event in 2006. He also excels at the cash game tables, having logged thousands of profitable hours both live and online. 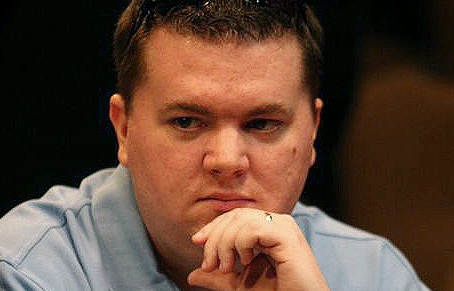 Eric Lynch is the acclaimed author of Winning Poker Tournaments One Hand at a Time, Vols. I, II, and III , considered the most comprehensive collection of expert hand analysis in print. He has had the privilege of helping hundreds of students from all skill levels grow into successful players during the past 10 years teaching alongside Nick Binger for the World Poker Tour. Ask any of his students what separates Eric from other poker instructors and they’ll say it is his ability to make the game more understandable for all players. Secure Your Place in This Special Event Now! Become a member and start saving right away! All transactions are secured by a PCI-Compliant Payment Provider. * LearnWPT reserves the right to cancel, change, or modify any live Workshops in part or in whole, without notice. For more information see our Terms of Service. Tickets available online only, until December 3, 2017. Just email it to us. Q: ARE MEALS AND BEVERAGES PROVIDED? 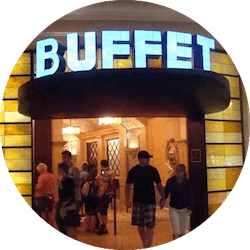 A: Lunch at the world-class Bellagio Buffet is provided on both Saturday and Sunday. Breakfast is not provided, so plan to grab breakfast each morning at any of Bellagio's incredible array of dining options. Coffee, tea, water, and soft drinks will be provided on both Saturday and Sunday. Q: ARE THERE DISCOUNTED ROOM RATES AVAILABLE? A: Yes. There is a discounted rate for LearnWPT attendees at Bellagio. Room rates are Sunday - Thursday $139 (plus tax and daily resort fees), Friday - Saturday $189 (plus tax and daily resort fees). You will receive instructions on how to book your room at this discounted rate with your ticket receipt. Q: I WANT TO RECORD VIDEO/AUDIO OF THE EVENT, IS THAT OK? A: Please note that recording video or audio of the class is prohibited. Q: WHAT IF I CAN'T MAKE IT? CAN I GET A REFUND? A: Yes! You may cancel and get a full refund anytime before December 1, 2017. Q: DO I NEED TO BRING SOMETHING TO TAKE NOTES? A: Workbooks and pens will be provided for you. A: We accept payments from any major credit card - Visa, MasterCard, Discover and American Express. We do not accept Personal Check, Cash, or PayPal. Q: IS IT SAFE TO GIVE MY CREDIT CARD INFO ON THIS SITE? A: Our staff never has access to your full credit card information and card details are never stored on the site. Instead, we use and industry-leading third-party PCI Level 1 payment processor for all credit card transactions on LearnWPT.com. This is the highest possible level of card security. Q: I HAVE MORE QUESTIONS ABOUT THIS EVENT! CAN I TALK TO SOMEONE? A: We've tried to answer every question you might have on this event page, but if you'd like to speak with someone, please call (888)600-5593 and leave us a message. Be sure to include your name, phone number, email address, and the best time to reach you. 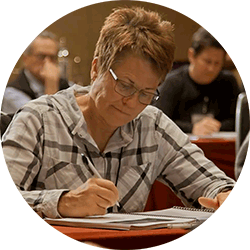 A LearnWPT Live Workshop Specialist will call you back and answer all your questions! You can also click the yellow "Live Chat" box in the bottom right corner of this page!